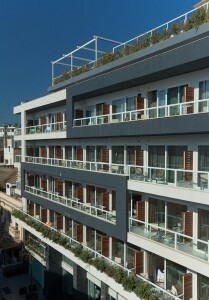 The George, Urban Boutique Hotel Malta is located in the heart of Paceville St.Julian’s, the foremost entertainment and leisure area on the island. It is just a short stroll away from the magnificent Mediterranean Sea, the sandy beach at St.George’s Bay and the trendy Spinola Bay. Easy access to all public transport, Valletta is only 6 km away and the hotel is 8km from Malta International airport. You can also find us on Google Maps. To the left of the arrival lounge is the taxi booth, all taxi bookings are directed through this booth. Prices range from €20-€25 each way. For your convenience we can take care of this for you, just select the taxi option in the booking process of get in touch via email with your flight information and we will be happy to assist. Please ask questions, make suggestions, or tell us what can we do to help, we also reply to all our requests on facebook. To the left of the arrival lounge is the taxi booth, all taxi bookings are directed through this booth. For your convenience we can take care of this for you, just select the taxi option in the booking process or fill out this simple form and we will be happy to assist. We have created a Google Maps link to help you with every step of the way. Please view this link for more info. Regular transfers from and to the airport, with pick up/ drop off directly from the hotel. Find more information about the service and pre booking from the website:www.maltatransfer.com. Outside the airport terminal you will find the public bus stop with a frequent connection Take bus route TD2 or x2 direct to San Giljan. The service runs from 05.50 till 22.50 every day.. Depending on traffic the journey will take 40 minutes. When you get off the bus you need to turn left walk up the road, cross and walk down the road with the ice cream shop on the corner. We are two blocks down on the left, you will see the sign if you look up and to the left. Airport Transfers. For more information on public transport locally, please visit the transport Malta website. Please let us know if you need any special assistance or a car seat for a baby to be included in your booking. We aim to get back to you by the end of the next working day (but often much quicker) if your request is urgent then please call us direct on +356 2011 1000.